Don’t use Bidvertiser.com to monetize your site or blog, it will damage your site rank/index and be punished by google. Remove it! If I click the blank on my site page, an unknown site will be popped up. And another big problem is: sometimes it will redirect to a new website when I click my left widget ( one of my recent posts). But I didn’t care about these then. 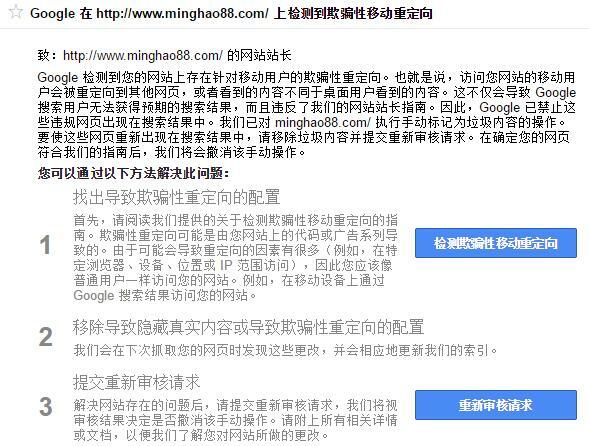 This email is Chinese. Google said, mobile users see different results from PC users and they will be lead to another page. These page urls are different with what the users see in the search results. So google think my site violate its rules. They don’t allow my site display in search results. Then I checked my sitemap and index. They are all zero. 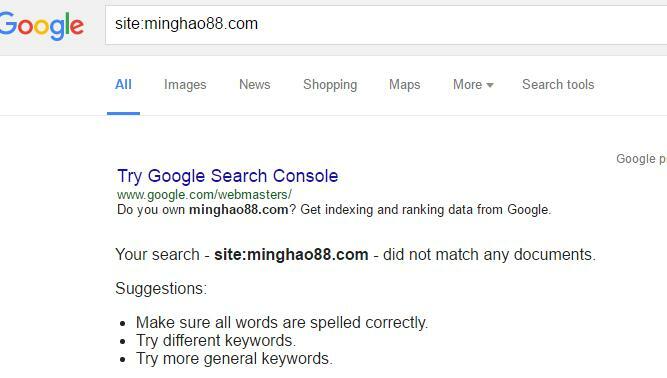 Google has already punished and screened my site. All the reasons are Bidvertiser ads. It has some malicious code and ruined my site. I deleted all their ads and resubmit the site to google again. According to google instruction, I submitted the consideration request to google. There will display waning messages when google chrome users visit site including bidvertiser code. This can give them an impression: this site isn’t safe! And they will leave your site instantly. When I tried to delete its ads code, I found I can’t delete them thoroughly. 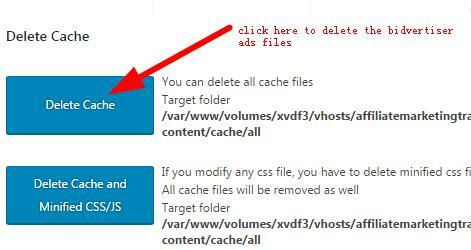 Even if I delete the plugin, the ads still exist on my site. Finally, I used WP fastest Cache plugin to do this work successfully. If you search “bidvertiser”, “bidvertiser malicious” or other related keywords on google, you will find many negative comments by people. They encountered the same situation as me. This is a bad experience for me. 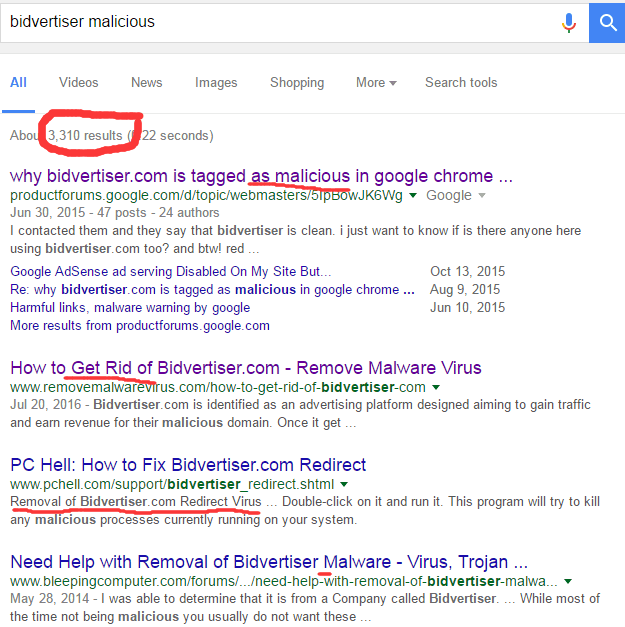 Bidvertiser.com ads are not safe and ruin site rank. Compared to your hard writing work, the loss outweighs the gain. If you have already added bidvertiser ads on your site, remove them as soon as possible!